The iPhone wallet not only holds your daily essentials, but also delivers a cozy touch feeling. 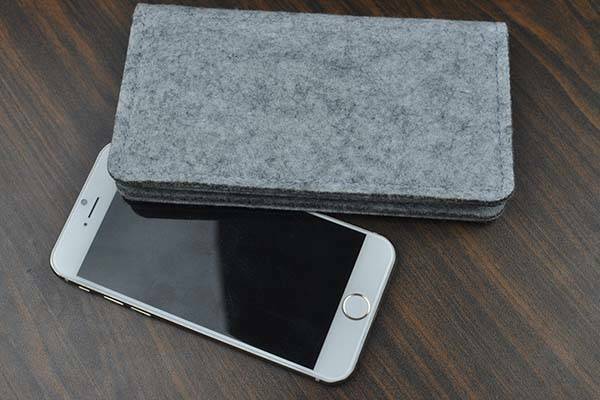 If you like the feature, let’s go on for the handmade wool felt iPhone 6 case. This is a simple and elegant folio case designed for iPhone 6/6 Plus, and handmade by Andy Liu from Hong Kong. 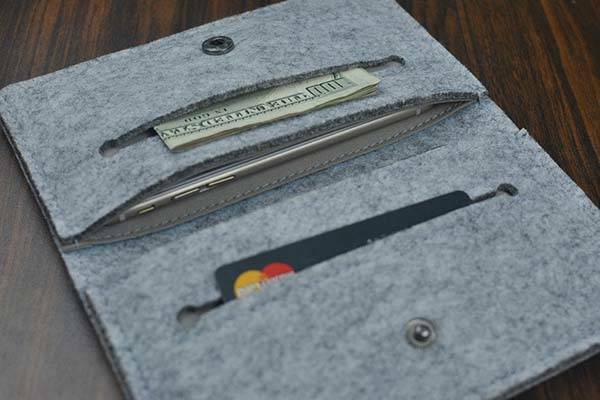 Both iPhone 6 case and iPhone 6 Plus case show off a minimal and functional design, and the case is handmade with 4mm wool felt and high-quality lining cloth to protect your phone from bumps and scratches, moreover, the iPhone case comes with four pockets in total, in addition to your iPhone, it can hold your cash, bank cards, notes and even an extra handset, and its snap-fastener keeps your belongs securely in place when you’re on the go with the case. The iPhone case comes in two models for iPhone 6/6 Plus, and each is priced at $23.98 and $24.98 respectively. If you like it, jump to Etsy for more details. Additionally, if you need more options, you may like to check the premium wool iPhone 6 case and more via following tags.